The authors are the Virtual Currency Law Team at MushkinLaw.com, located in New York, Connecticut and California and concentrating on corporate finance, business regulation, and litigation. Martin Mushkin was an SEC Senior Trial Attorney, has published extensively, and has been listed in Who’s Who in American Law. Joseph Sahid is a litigator handling commercial and financial disputes, was a partner in Cravath, Swaine & Moore, and is listed in Who’s Who in America. 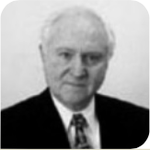 Joseph Taub has counseled in many business litigation and corporate matters. Rony Guldmann assisted in the research. Congratulations, virtual currency world—New York wants to expressly regulate you! That’s how important Bitcoin and other digital currencies have become in recent years. And as we know, what happens in New York's financial world often has implications for the wider world. All the recent attention New York has paid to virtual currency is raising many important legal questions, with potentially profound implications. This article will offer a brief survey of just some of them. But mediums of exchange go back to the first bartering by cave people. When A and B first exchanged goods, each was getting something from the other that he wanted. Soon, there came a point when B didn’t really want more apples but knew that he could exchange them with C for the tomatoes B really wanted. Soon he had an inventory waiting to be bartered. And shortly after that B needed some means of storing his accumulating wealth other than in the tomatoes and other produce he had bartered for. inventory. So here came banks and coins minted by governments, followed by the age of paper or fiat money, checks and credit cards. Today, instead of masses of paper moving through the banking system, all this transfer of wealth—debiting and crediting—takes place electronically. That means we are already in the digital currency era. Thus far, Bitcoin has been regarded as both a currency and a commodity. In SEC v. Shavers, a federal court in Texas held that since Bitcoin could be used to buy things other than Bitcoin itself, it was money. The court found that paying in bitcoins for shares in a business run by others for profit was buying a security and subject to SEC regulation. The court did not deal with the nature of what the business was going to do with the “money.” The business intended to deal in bitcoins. The court could have classified the transaction as an investment in commodities, as a Bitcoin trading business, or as trading in forex. The case presented different ways of looking at Bitcoin, along with several possible regulatory schemes: currency, securities, commodities and forex. All of that suggests another question: Who has legal jurisdiction over Bitcoin transactions? Suppose Company A, physically in country X, uses the Internet to find an exchange, “GiveandTake,” upon which it can offer its shares. It accepts payment only in Bitcoin. The exchange is only virtual and Company A does not know where the exchange is located. Company A offers its securities, and investors pay for it by depositing bitcoins into Company A’s electronic wallet. The wallet is administered by “Maybesafe,” thought to be in country Y. Company A does not have the physical name and address of “Maybesafe” or the investors. All it has is email addresses. Of course, the securities the investors purchase are really electronic entries. Later, Company A pays dividends to the investors by sending the dividends to their virtual wallets via their email addresses. These recipients could be anywhere in the world. Suppose things go wrong. Perhaps some of Nakamoto’s “honest nodes” succumb to “attacker nodes.” Maybe the business simply goes bankrupt. What government(s) can take jurisdiction? To what court can the injured party go to seek justice? Where the physical offices of the various participants are located, or the location of their servers? In the banking world, New York’s highest court has ruled its courts have jurisdiction over Lebanese Canadian Bank sued by U.S., Canadian, and Israeli citizens resident in Israel who were victims of Hezbollah rocket attacks. The claim was that the bank assisted Hezbollah by “facilitating international money transactions” by using its New York correspondent bank to transfer money to Hezbollah agents. This approach could be applied to Bitcoin. Beware Bitcoiners! In our hypothetical case, New York’s proposed regulations could require that Company A know the physical address of the exchange, that the exchange and wallet be licensed, and that all parties, including the investors, know with whom they are dealing beyond mere email addresses. The proposed regulation requires all advertisements by licensees to include their name and a statement that they are licensed to engage in a “Virtual Currency Business” by New York. The license will serve as an advertised badge of integrity, like a bank saying it is a member of the FDIC. Hopefully, there will be no Mt. Gox or Silk Road fiascos by New York licensees. But it’s a tough regulation. Applicants must submit fingerprints, extensive personnel background information, certification of an outside investigator, a detailed business plan, and audited financials—much like a bank. Once in business, a licensee must have a written compliance plan, maintain compliance personnel, be audited, and report frequently to the regulators. Among other things, if for instance, $10,000 in bitcoin or money is transmitted in “one day by one person,” as in buying shares "involving New York or any resident of New York," the licensees will have to report the transaction to the New York regulators. The Treasury’s Financial Crime Enforcement Network (FinCEN) requires U.S. financial institutions to assist U.S. government agencies to detect and prevent money laundering and other criminal activity. Under the Electronic Funds Transfer Act, any transfer of funds, other than a transaction originated by check, or similar paper instrument, which is initiated through an electronic terminal, telephonic instrument, or computer, must be reported. “Money transmitting” includes transferring funds on behalf of the public by any and all means within this country or abroad. These laws would ostensibly cover Bitcoin transactions such as the illegal drug dealings in the infamous Silk Road case. Bitcoiners, like all businesses, will have to comply with the securities laws, privacy, tax, health, Social Security laws, and money transmitter laws, and honor their contracts—or risk being sued. For Bitcoiners, regulation will greatly compromise the vaunted anonymity of the currency. This is a matter of more than a little concern for many in the Bitcoin community. Will a New York badge of integrity be worth it? New York isn’t the only jurisdiction considering whether and how to regulate Bitcoin, but with New York being the 800-pound gorilla of the financial world that it is, you can bet that the rest of the world is watching very closely. Given Bitcoin’s endurance and ever-evolving prominence on the world’s financial stage, governments everywhere are considering regulation, and they will most certainly be closely observing what happens in New York. As it stands now, Russia and others may criminalize Bitcoin in the future. On the other hand, they may find that tactic to be unsustainable and a bad move for their own financial system. The best advice from here is to stay tuned. Bitcoin remains an ever-evolving legal quandary. The situation in Russia has many players, and has shifted ambiguously in 2014. In January, the Bank of Russia issued a statement discouraging the use of bitcoins, warning that Russians who use them risk becoming unwittingly involved in illegal activities. After a meeting with the Bank of Russia, Russia’s Prosecutor General announced in February, 2014 that with the ruble being the official currency of the Russian Federation, existing Russian law categorically prohibits Bitcoin. The Bank of Russia, however, came away with a different interpretation of that meeting. In March the bank clarified that it had not concluded that all “cryptocurrencies” were prohibited, and that the meeting was merely intended to develop a regulatory framework to combat illegal operations and protect the rights of users. It seems that the matter will be settled soon enough, though, as Russia’s Finance Ministry is now backing a bill that would fine individuals involved with virtual currencies the equivalent of between $100 and $840, according to the nature of the offense. Officials and legal entities would face substantially higher fines, up to $12,500. While the Finance Ministry has backed off of its earlier attempts to impose more severe fines, its underlying hostility to virtual currencies remains intact. Its position is, however, opposed by the chair of the Duma’s Committee on Financial Markets. Given Russia’s well-documented ambivalence on the matter, the bill’s fate remains uncertain as a vote looms soon.